Howdy. I'm Ree Drummond. 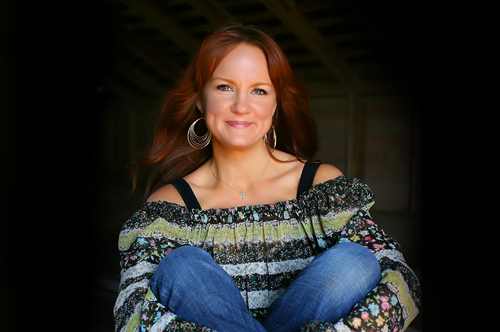 Folks also know me as The Pioneer Woman through my website, ThePioneerWoman.com. My four kids know me as Mama. My dogs know me as Food Source. My family knows me as That Freak Who Won't Ever Pick Up Her Phone. I'll answer to just about anything. Twelve years ago, I turned away from the conveniences of city life by marrying a hunky cattle rancher and moving to his home in the middle of the country. People who'd known me my whole life laughed at this. They said I wouldn't last a month. But I did. I lasted a month. Plus twelve years. I SHOWED THEM ALL! Over two years ago I began chronicling my rural experiences on ThePioneerWoman.com. I share my foibles, my photography, and my recipes with anyone who's interested. Feel free to drop by and say hello! Check back here from time to time for links and highlights. I'm very imperfect. I'm messy, scatterbrained, and forgetful. But I love my husband, my children, and everything about country life...except the hardness of the water and the times our horses get into the yard and eat my ornamental grasses. I'm glad I get to share it all with you!